When 25-year-old Ken Schmidt joined Harley-Davidson in 1985 as their head of communications, some people questioned his sanity. At the time, the company was on the brink of bankruptcy, unpopular with U.S. consumers and rapidly losing market share to Japanese motorcycle manufacturers. By focusing on brand, messaging, and changing the public discourse on a product often affiliated with degenerative behavior, he helped resurrect and consciously reinvent Harley’s image, overseeing one of the most celebrated turnarounds in corporate history. 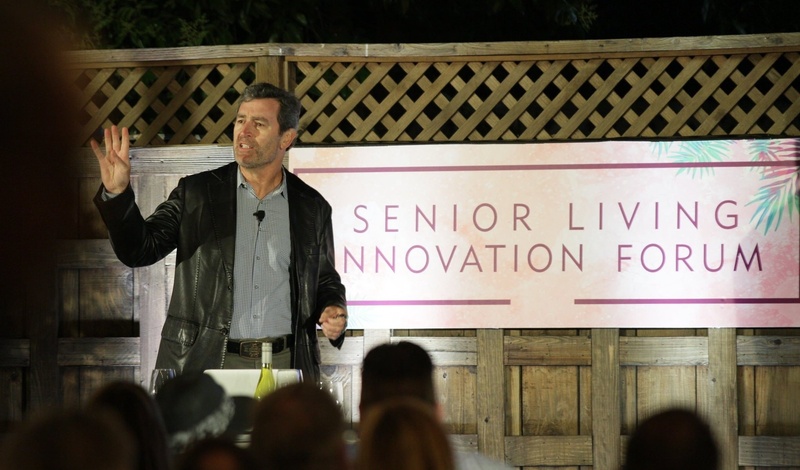 Today’s landscape of senior living may not be as dire, but Schmidt sees parallels between it and Harley-Davidson in the mid 1980s—similarities he covered in his pull-no-punches presentation at the Senior Living Innovation Forum. Eventually his father-in-law picked a seemingly acceptable residence that he and the family approved of, and subsequently moved in. Several months later, the family was having lunch in the dining room of his new home. Nearby, another woman was taking her mother on a tour of the community. Suddenly a light went off in her mother’s head. She turned to her daughter and exclaimed, "This is a F---ing nursing home!" “All our lives we’ve been conditioned to fear this. And its 100% preventable,” Schmidt said, referencing ‘nursing homes’ and the negative connotations associated with ending one’s life in such a lousy environment. While the senior living and retail industries may seem worlds apart, there are, in fact, parallels that can be drawn between Schmidt’s accomplishment of repositioning Harley-Davidson and the work required to overhaul senior living communities throughout the country. With the explosion of online shopping, Schmidt emphasized the necessary progress brick-and-mortar retailers have made over the past few decades, a transition that’s essential to staying relevant. Retailers that have maintained market share are the ones that provide immersive, experiential showrooms and top-flight customer service. Way back when, building a top-quality product was enough to succeed in the marketplace. Today, many vendors sell a great product, so a company needs to stand out by connecting with their customers to build true brand loyalty. “Nobody can sell [a bad product] and still get away with it. All of that stuff died in the 80s,” Schmidt said, adding that, unfortunately, many CEOs with struggling companies continue to hang on to this sinking life raft—the belief that simply making a recognizable and affordable product is enough to survive. Senior housing providers are in a similar boat. Even the ones providing the best services and accommodations are up against a negative image, based on America’s dread of old age and the pervasive impression that all senior living communities are depressing places to live. It’s an impression that the industry has struggled to shed. So how did Harley-Davidson stop spinning its wheels and re-emerge as leader of the pack? In the 1970s, the company ruled the U.S. motorcycle market. By the mid 80s, however, the brand had dropped from 95% of the market share to less than 20% thanks to C-level incompetence and the availability of affordable, well-made Japanese imports, such as Suzuki. Harley’s product “was crap,” and dealerships were alienating customers with suspect showrooms and filthy restrooms. Harley Davidson had lost control of its public image. When the company filed for bankruptcy in the 1980s, the brand had become associated with motorcycle gangs and criminal activity, Schmidt revealed. Soon after he joined the company, Schmidt began the challenging journey of reinventing the Harley brand. The process involved restoring quality in the company’s products, but also converting dealerships into beautiful showrooms that exceeded customers’ expectations. Beyond strong advertising, the brand had to shift the conversation, getting people to start talking about Harley and biker culture in positive terms—transitioning the image of a Harley owner from ‘rough and tumble’ to professional men and women who prefer spending their weekends on the open road, as opposed to playing golf. After improving its products, Harley kept the aspects of its ‘rebel’ image that made it special, while softening it enough to attract boomers who craved excitement. Over the past decade, the brand has continued to innovate its marketing strategies, targeting women and a younger demographic. Throughout this hard-won process of reinvention, Harley-Davidson has courted the media and the market, persuading it to take a new look at a once scandalous brand. “Nobody believes what you say about yourself,” but as consumers, we do believe in the advice and opinions we receive from sources that we trust—friends, family, and coworkers. Schmidt emphasized this as a key point to repositioning any company’s image. It may be an uphill battle, but senior living providers need to embrace the challenge of creating communities where elders actually enjoy living, and with staff that understand residents have the option of going somewhere else if they’re not satisfied. The presence of competition in the marketplace should force the hand of senior housing leaders to overhaul a stagnant industry which is ripe to be disrupted. Senior living operators must generate brand loyalty. “Residents and their families [should be] actively recommending one company or a particular community to their friends,” Schmidt explained. 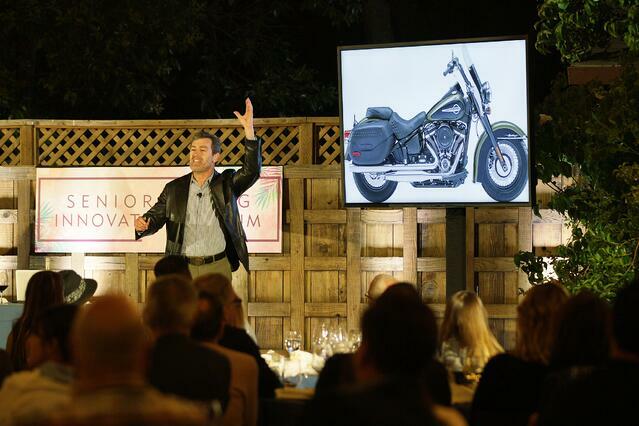 In other words, to experience a Harley-style renaissance, senior living must evolve from viewing residents and their families as "folks who buy from us," into "loyal friends who recommend us without being asked." Thus, the relationship must evolve from superficial to meaningfully permanent. As Ken Schmidt passionately articulated, reputation is everything in business. In the 1970s, Harley-Davidson owned the US motorcycle market. A decade later, the company almost went under. Through the meticulous overhaul of Harley, Schmidt helped turn around a brand that is recognized as a leader of the pack in today’s market. And in order for senior housing to remain relevant in the upcoming decades, providers will need to create a passionately vocal (and loyal) customer base. "Position your business to ensure that it's memorably different than competitors, and strengthen your reputation so your customers stay fiercely loyal and refer you to others, even when your prices are higher." Reflecting on his accomplishments, Schmidt's philosophies on life and business haven't changed: “Never do what’s expected, make yourself as noticeably different as possible, and have a lot more fun than you’re supposed to." For more on the future of Senior Housing, join us at SLIF. June 23-25, 2019 in Santa Barbara, CA.